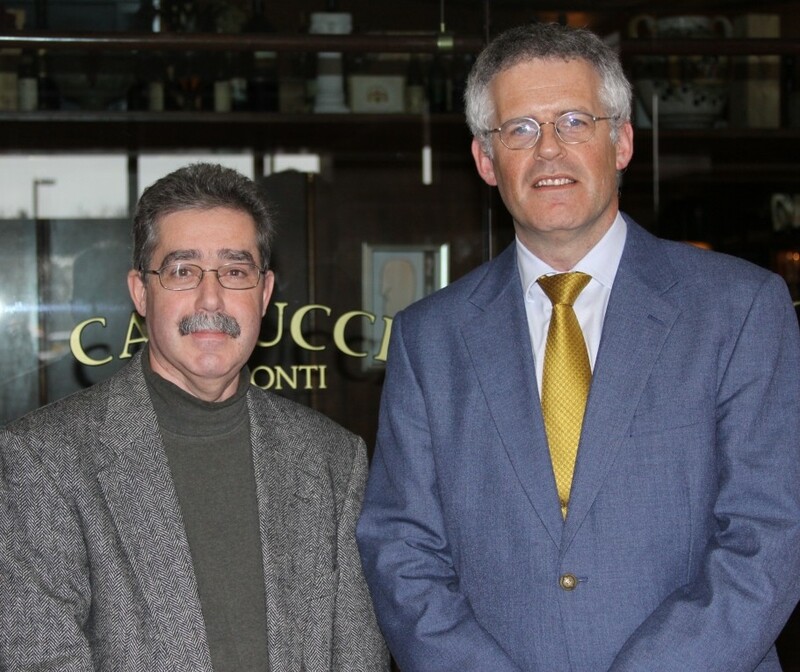 I spent an enjoyable lunch meeting today with ICE USA show director Michael Boyle, and the countdown is on for what he described as “the biggest tradeshow launch ever by Mack Brooks Exhibitions.” With something like 240 exhibitors either under contract or likely to sign in the next few weeks, the inaugural ICE USA just may hit 300 exhibitors by the time it opens for its three-day run—April 6-8—in Orlando, FL. (On a side note, ICE Europe 2011 will probably top the 500-exhibitor mark when it opens this coming November in Munich, Germany). 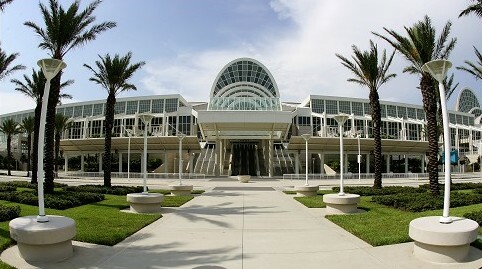 A sunny, palm tree-laden view of the ICE USA venue in Orlando. With less than three months to go, attendee promotion is being stepped up. Personalized visitor Websites will become available, and exhibitors will soon be offering free show admission to their customers, saving attendees the $20 preshow or $40 on-site registration fee. Converting Curmudgeon at left with ICE USA show director Michael Boyle. Boyle mentioned another good sign for ICE USA and manufacturing as well: Congress extended 100% depreciation on capital equipment purchased and installed through this calendar year. In other words, buy now and save on taxes while you can. It’s a good thing in the short-term, but “for the long-term, we’ll need steady growth, not a ‘boom and bust,’” he said. This entry was posted in coating/laminating, digital printing, flexible packaging, labels, package printing, paper/paperboard/cartons, printed electronics, slitting/rewinding, sustainability and tagged converting, flexible packaging, ICE USA, labels, packaging, paperboard packaging, plastic film, printing, sustainability. Bookmark the permalink.